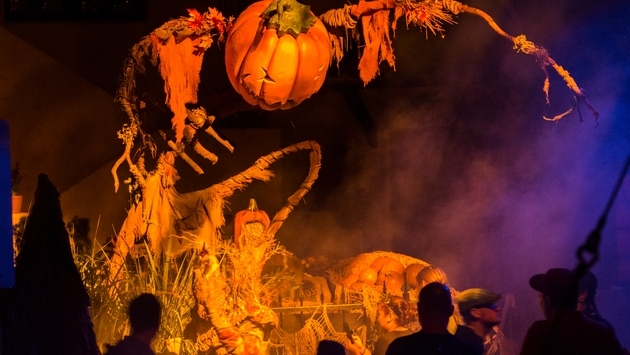 WHY IT RATES: For travel agents and advisors who work with clients that love Halloween, the extended Halloween Horror nights should be added to any 2019 itinerary.—Donald Wood, Breaking News Senior Writer. Universal Orlando Resort has an early holiday gift for guests who are visiting in early September 2019 – they’ll now have the opportunity to experience the world’s premier Halloween event during their visit. Due to popular demand and the incredible growth of the event, Universal Orlando’s Halloween Horror Nights 2019 will begin earlier than ever before, running select nights from Friday, September 6, 2019, to Saturday, November 2, 2019. Guests will face haunted houses, scare zones and live entertainment based on everything from horror legends and the top names in pop culture, to disturbing-original stories created exclusively by the twisted minds of Universal’s award-winning Entertainment team. More information about Halloween Horror Nights 2019 – including specific event dates, event content, tickets and offers – will be revealed in the months ahead. Stay tuned to www.halloweenhorrornights.com/orlando for updates. SOURCE: Universal Orlando Resort press release.